This November gets humongous discounts on your favorite products exclusively on GeekBuying. This offer can be availed by first 500 users only. 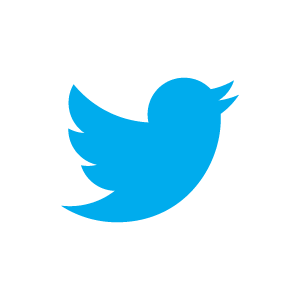 Each user is eligible to utilize this offer once each day. 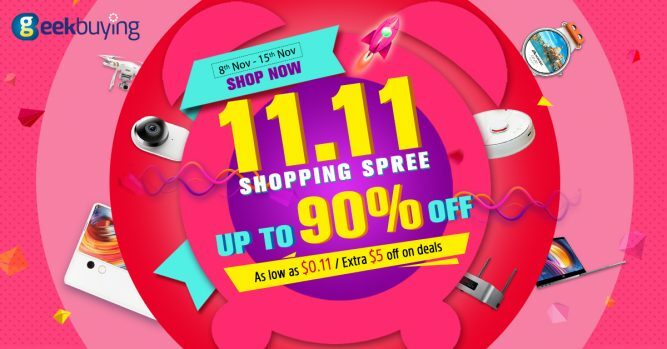 Promotion period: 8th Nov 09:00 (UTC) till 15th Nov 09:00. In unforeseen circumstances, GeekBuying will make the final decision and reserves all rights for this promotion. 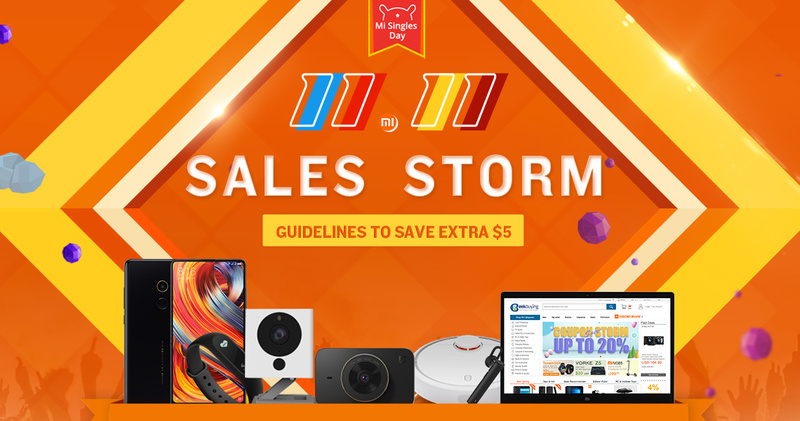 Besides the extra $5 discount, there are 24 hours deals whereby users can buy the latest gadgets at huge discounts each day until the promotion lasts. 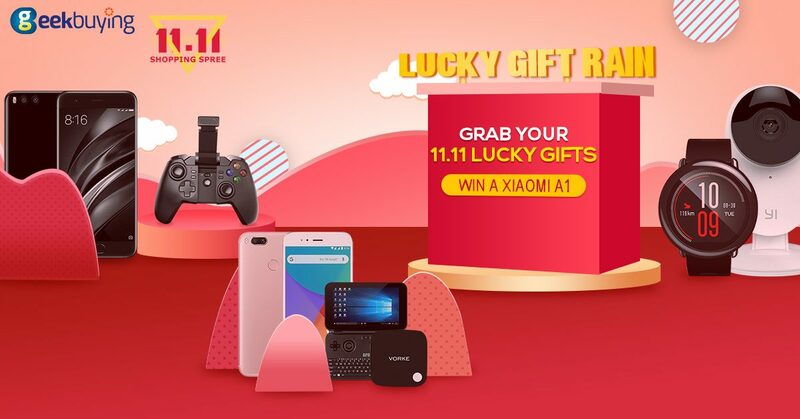 GeekBuying will also be giving away a bunch of free gifts including a brand new Xiaomi A1 smartphone for one lucky user. If you want to win the bumper prize Xiaomi A1, share the Gift Rain activity on all of your social media pages. Login to your GeekBuying account & share the Gift Rain activity on your social media pages before participating. All the users who have participated will be rewarded with gifts at 09:00, 12:00, 19:00 & 06:00 (UTC) from 1st Nov to 15th Nov. The duration of the Gift Rain activity will last for 5 mins at a time. Users can access their rewarded gift after logging-in to their account. To increase your chances of winning cool gifts, share this activity more & more. 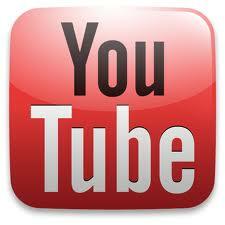 There are exclusive combo deals in different categories of the products from all the top brands. There’s a dedicated section for products from all the categories starting only at $0.11. Visit GeekBuying for the above offers, exclusive discounts and so much more. For all the new users, register now at GeekBuying.com for the latest & the greatest gadgets for instant delivery at your doorstep. 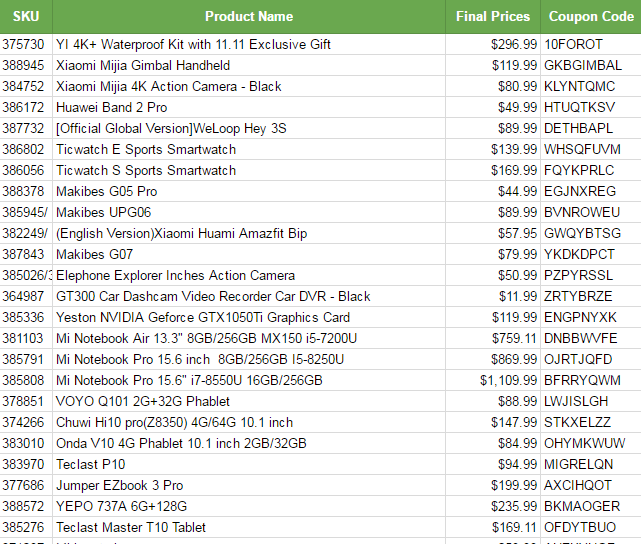 WIN $1111 OFF COUPONS AT GEEKBUYING!! !